Are you struggling for ideas in your quest to attract more clients? Adding to your client list might be easier than you think. And many can be found right in your own backyard. I think I first heard the phrase on a McDonald’s commercial, and it’s a great concept that’s undoubtedly applicable to modern society. Social media is an essential aspect of today’s business environment, and it’s here to stay. However, how many of you are guilty of spending more time interacting with others via your computer or smartphone rather than in person? Many of us are offenders. While appropriate social media placement certainly plays a part in your business plan, be cautious about investing too much time online and too little in person. Solution: There is still something to be said for face-to-face time with others. 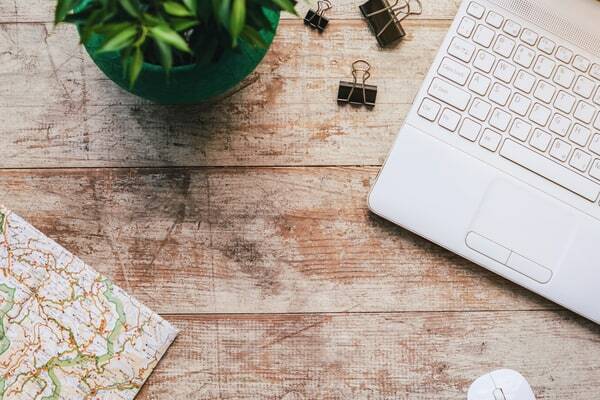 Whether it’s attending a networking event or a fundraiser for your favorite charity, or simply taking a class to learn a new skill, make sure you’re including social time in your marketing plan. Example: The owner of a specialty yarn shop was having difficulty with website maintenance and building a following on social media. Feeling left behind by today’s technology, she brought up her dilemma during a recent class she was teaching in her shop. A customer she’s known for close to 20 years who recently started a virtual assistant business spoke up, offering a few suggestions. As a result of that conversation during their face-to-face time, the two are now working together to find solutions for the shop’s challenges. The Internet has opened up our ability to do business with almost anyone, regardless of physical location. And those opportunities are lovely and exciting. In thinking globally, how many small business owners start to forget local opportunities? It’s a confession I hear often. Business owners who used to rely on local business to support them now think more globally. As a result, they’re usually unaware of new businesses opening locally that would make feasible clients. Solution: Don’t forget to keep your pulse on the local market and stay alert to new opportunities. My local news source includes a retail watch section that announces business openings (and closings, unfortunately) in the area. We also have a local business journal, which is an excellent source for information regarding promotions and new hires within companies, all potential clients to make contact with. Example: A mobile dog groomer admits never having the time to adequately keep up with social media for her business, yet she’s done little to remedy that dilemma. When a new client, who has a background in new business development, asked about her Website, the two struck up a conversation on the topic. Now, not only does the groomer take care of the client’s beloved dog, but she also works with her to help “drive” her business in a new direction, too. Solution: Don’t forget to casually remind acquaintances, friends, and other business owners of the goods and services your business offers from time to time. Also, speak up when you’re taking on new clients. And, as I learned years ago in sales training, remember to ask for referrals. Example: A small business development coach attended the same acupuncturist for years, and the acupuncturist knew what the client did for a living. During a recent appointment, the client mentioned she was looking to take on new business. The acupuncturist jumped at the idea of the two women working together. Surprised by the interest, the client asked why the acupuncturist had never enlisted her help before. “You always seemed too busy for more work,” the acupuncturist’s responded. Doing business globally is wonderful and can be lucrative. However, don’t forget thinking locally when it comes to new clients and growing your business. There could be plenty of opportunities you’re overlooking right in your own backyard. 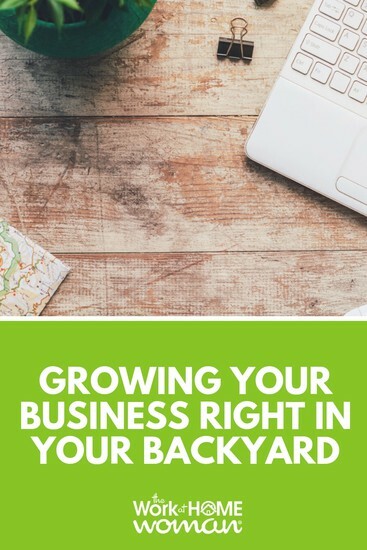 How are you growing your business? When is the last time you looked locally for clients? Drop us a note; we'd love to hear from you! If you enjoyed this post – please share it on your favorite social media site. Kathy Rembisz is an award-winning writer with hundreds of articles, both online and in print, to her name. She also has experience as the editor of a glossy regional publication. She is the author of the children’s picture book, Hair, Hair Everywhere! and frequently speaks to students at schools, libraries and community centers about reading and writing. As a regular blogger, special areas of interest to Kathy include: health and wellness topics, pets and small business development. You can find her at blog.familywize.org. Before her career in journalism, Kathy started a practice management company, offering medical billing, public relations, and staff development services to healthcare practices. In addition, she has a strong background in healthcare sales and marketing. Finally, as an individual with celiac disease and a whole host of food allergies, Kathy is a gluten- and allergen-free baker and former restaurant co-owner.